Look Better, Feel Better, Be Better. Zerona is the ONLY clinically-proven, non-invasive body contouring treatment. In as little as two weeks, you can look and feel better. Zerona is the first non-invasive body contouring procedure to effectively remove excess fat without the negative side effects associated with surgical methods. It has been raved about and demostrated on Dr. Oz, NBC, CBS, FOX, The Doctors, Nightline, USA Today, SELF, Allure and so many more. 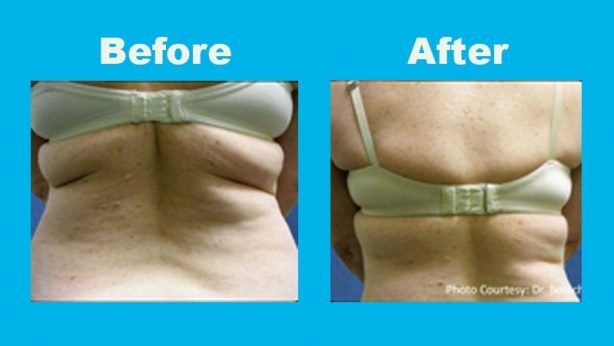 Zerona targets your stubborn fat areas using low-level laser therapy and painlessly emulsifies the fat under your skin. Our bodies then safely eliminates the fat using the lymphatic system. Zerona is 6 quick and painless treatments done over two weeks. You simply lie under Zerona for 20 minutes on your front and 20 minutes on your back. It's that Easy! By following the Zerona treatment plan you can achieve results in as little as two weeks and lose up to 3.5 inches by reducing stubborn fat from your waist, hips, thighs, and arms. Zerona is the only non-invasive body contouring low-level laser with proven results. Because each persons body is different results will vary.